It’s challenging during the summer moths to hone in on all downtown has to offer. With great food, engaging activities, and unique fashion, all of your essentials are within arms reach. While summer for some is driven by their fear of missing out, others for their desire to escape into a positive activity, or the next beach boardwalk Instagram-worthy outfit, there’s always something in downtown. We’ve compiled a list from some of our favorite summer essentials, and we can’t wait to share with you. Have you been searching for unique ways to quench the heat induced thirst and appetite? Hop on over to McClintock Distilling and wet your whistle with their Forager Gin. Lazy Fish has created a refreshing Lemongrass Mojito for your summer enjoyment. 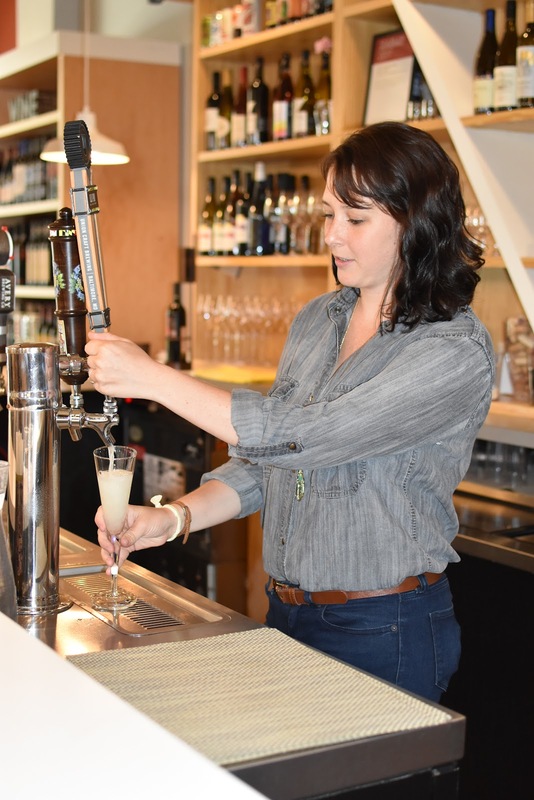 VINI Culture Wine Bar is embracing the heat and offering cold, crispy, fizzy, Prosecco on tap. Hippy Chick Hummus understands that some days just need a boost of health without compromising the delicious taste of a frozen treat, so indulge in their Frozen Acai Smoothie Bowl. The Kitchenette is ready and on deck to help you master your greatest outdoor BBQ or culinary cookout dreams, by offering an assortment of water bottles, cooking tools, and grill accessories. Frederick Coffee Co offers a refreshing and energizing frozen Ooh La La Lavender Latte. JoJo’s restaurant & Tap House is ready for you to join them for their signature twist on a classic summer treat, Frose and Frosecco! Frederick Fudge & Ice Cream is covered with a smile and scooping up Cappuccino Crunch Ice Cream in a homemade waffle cone. GOOD juju is blending up fantastic refreshing drinks, and their Mango Tango Smoothie is sure to cool you down while exciting your taste buds. Shab Row Tea Emporium understands that an Iced Tea addiction only heightens during the summer months, so their selection of 300+ tea flavors are ready for your next craving. Tenth Ward Distillery has created a summer beverage that will quench your thirst and ignite your taste buds, so be sure to stop by and sip on a glass of Honeyjack! Lebherz Oil & Vinegar Emporium loves making a refreshing summer drink using their White Raspberry Balsamic Vinegar and Seltzer Water. You can even add some vodka or sparkling wine to make the perfect summer cocktail. 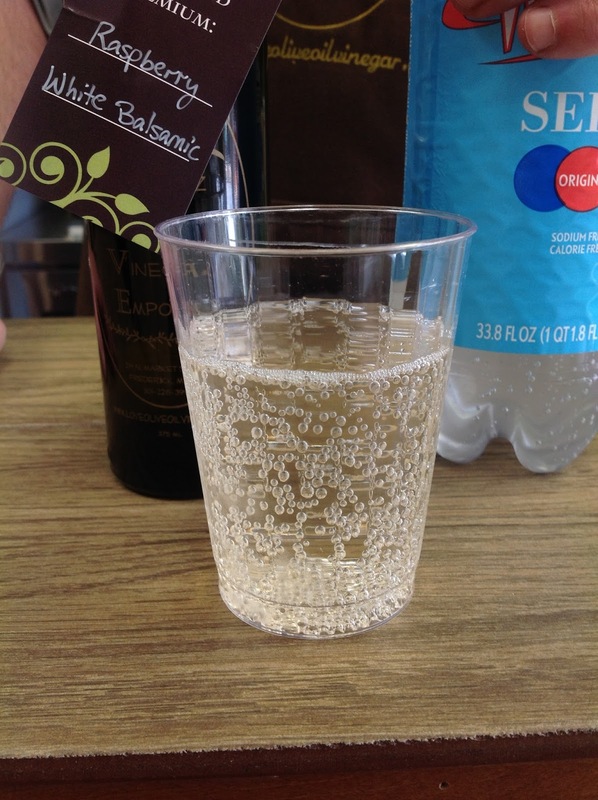 Come sample a White Raspberry Balsamic Fizz at the shop! Still thirsty? North Market Pop Shop‘s Sparkling Lemonade is the refreshing sip that pairs with any meal, or makes a great afternoon treat on those particularly sweltering days. Wondering how to excite your summer beyond iPad screens or movie nights? Roads and Rails Museum is a wonderful commodity to explore with your kids as they grow in appreciation for the wondrous world of railroads! I Made This! 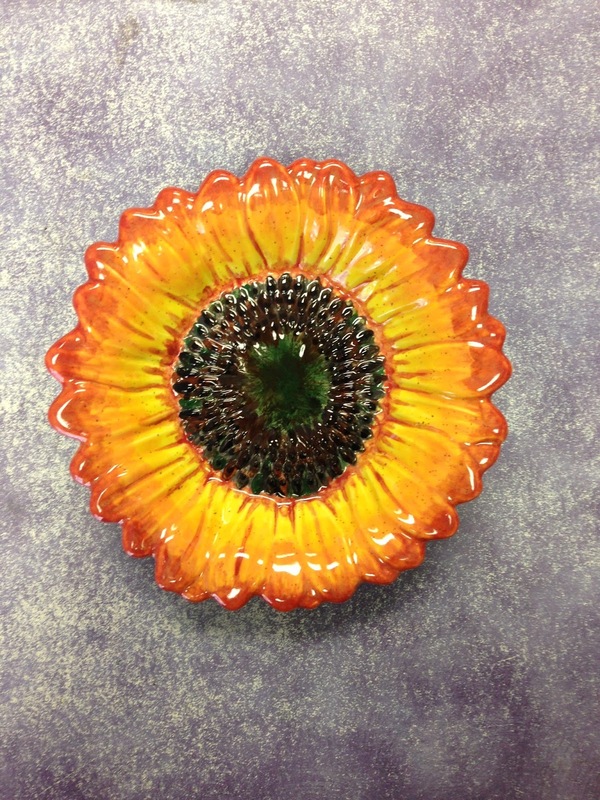 Pottery Shop helps you establish or find your creative energies by painting a Sunflower Dish or Sunflower SpoonRest. The studio also has a Flip-Flop Chip- n-Dip Platter ready to be enhanced with all of your favorite summer colors. Curious Iguana has all the necessities to excite your thought process or imagination, so come pick up your next favorite summer read. With options for all ages, it’s the perfect pit stop before a road-trip, beach adventure, or relaxing hammock in the back yard! Weinberg Center for the Arts is rolling out events all summer, and now is the perfect time to say yes to a Weinberg Center Membership. Be the first to hear about their fall and winter line up along with early access to tickets. Surelocked In Escape Games knows how no summer is complete without fun and games! Escape from the summer stress with 60 minutes of cell-phone-free time solving riddles and puzzles with your loved ones. Don’t watch the adventures pass you buy, live the Adventure at Surelocked In, Frederick’s First Escape Room! The Muse has a wonderful kid friendly handmade crayon wallet! It’s the perfect travel item to keep kids busy during car rides or for at days at the beach. This creative wallet is washable and comes with crayons along with paper! Struggling on how to stay cool while still embracing your own personal style? Colonial Jewelers knows how the sunshine has ushered in sweltering Maryland heat and humidity. 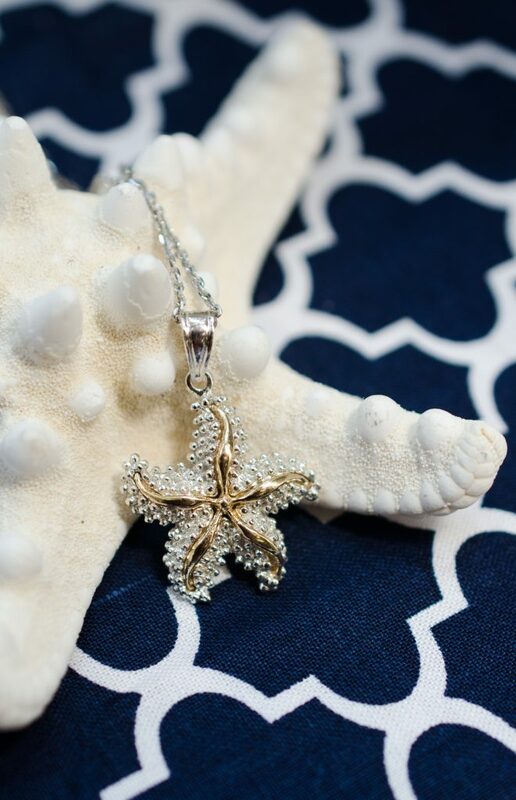 For those who love the summer, this change in temperature has us thinking about all things beachy and for a jewelry store, this means finding the perfect beach jewelry to start your summer off right! We realize that summer is a time for extra expenses as you splurge on good times, so all of these piece have been chosen for their quality and affordability. Take a minute to look through and see which one might fit your style. Don’t forget to come in soon because these pieces are only going to be around through the summer! Trail House is stocked with Hydroflasks! Visit their store and pick out your favorite design or color. Then you’re on your way to enjoying ice cold beverages for up to 24 hours courtesy of the hydroflask water bottle.Frederick Visitor Center offers unique ways to keep your feet cool! Maryland Flip-Flops are a practical way to show off your Maryland pride, without compromising your favorite summer shoe choice! Quality Shoe Service (301.694.9255) has the perfect fashionable yet functional bag, with their crossbody purse in an assortment of colors. Velvet Lounge has gathered their best California vibes in order to provide customers with Rainbow brand Flip Flops! 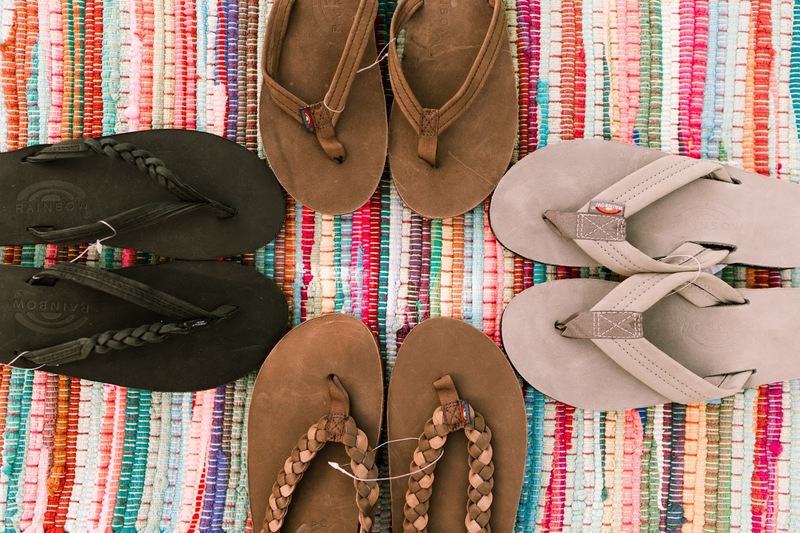 Experience the comfort and fashion of these practical sandals. Smooch! Studio understands the importance of hydration and protection, and their Sheer Velvet SPF 20 tinted moisturizer is just the product your face needs to withstand the summer elements. Pearl Clothing has everything you need to stock your closet with Cool Linen Clothing from FLAX to combat the hazy humid days. 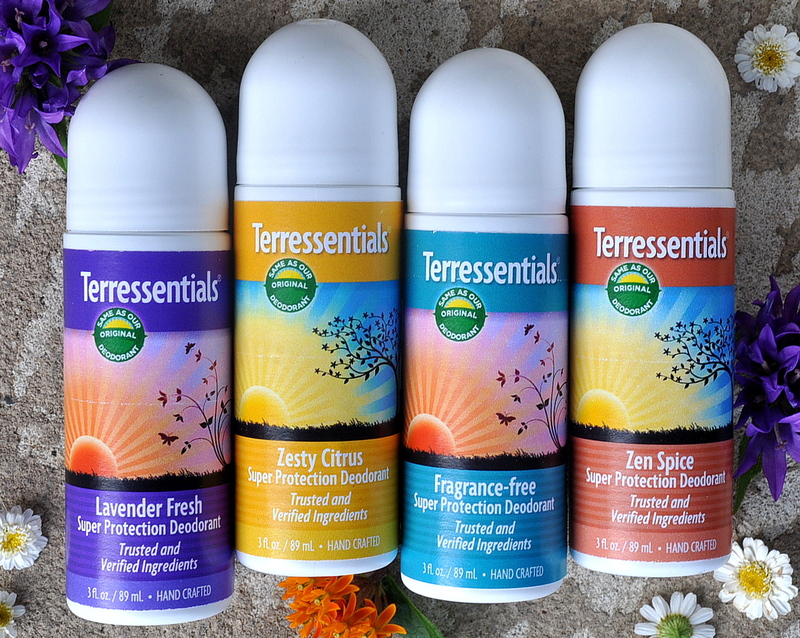 Terressentials recognizes how hard it can be to find a natural deodorant that works well amidst the humidity filled Frederick days. Because of this, they have created an effective natural deodorant so your body is able to be toxic free as well odor free! Paws in the City reminds you to not forget about your favorite fluffy friend, and that’s why they provide a Ruffwear Performance Dog Gear Swamp Cooler cooling jacket in their store! Let your 4 legged friend embrace the breeze and cool off with this special jacket. So if you’re back from vacation but not ready to kiss summer goodbye, you can count on downtown to offer an assortment of essentials and activities tailor made for a relaxing stay-cation weekend. Enjoy, and be sure to participate in our hashtag #getitdowntown while you’re out! Visit downtownfrederick.org for more information.